Bike and Build is coming! | Trinity Lutheran Church ~ Madison, Wis.
← Attention Trinity Choir members! Bike and Build is coming! The Bike & Build crew will arrive this week on their mission to work with affordable housing groups across the country. We will host them for several days and share supper on Tuesday the 14th beginning at 6 p.m. Trinity members are invited to join us. We need people to provide food items—please see Tom or Kia Conrad to sign up, or call 249-0189. Thank you! 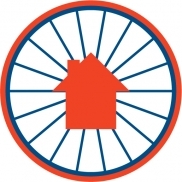 This entry was posted in Community, donate, News, Volunteer and tagged affordable housing, Bike & Build, Habitat for Humanity. Bookmark the permalink.